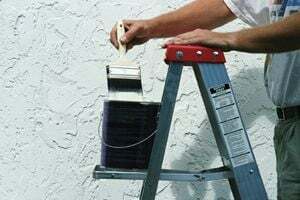 Where do you need Painting Contractors? Comment: Happy Valley Ranch 1 home. Stucco and wood. Comment: We need our entire exterior painted, including the masonry walls. Comment: Our home needs some stucco patching and re-painting. Just looking to get a couple of estimates for timing and budgeting purposes. Approved HOA paint options here: https://www.dunnedwards.com/colors/archive/color-ark_pro/la-colina/la-colina Can schedule a drop-by estimate in mid-May or June. Scottsdale Painting Contractors are rated 4.79 out of 5 based on 2,516 reviews of 87 pros. Not Looking for Painting Contractors in Scottsdale, AZ?